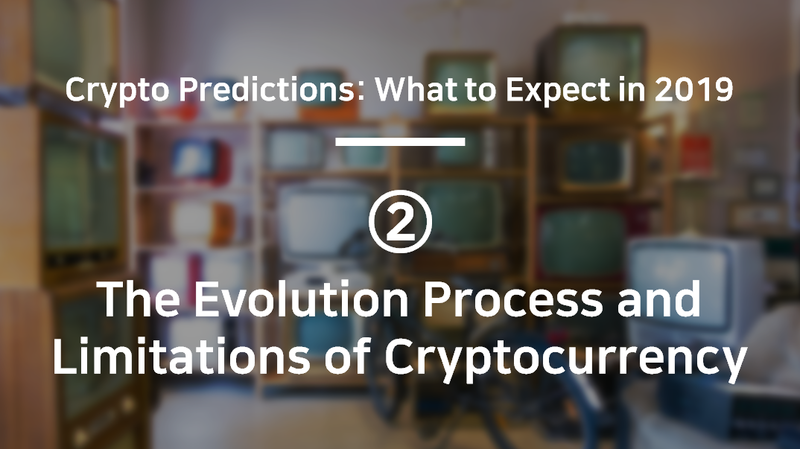 Let’s look at the evolutionary history of Cryptocurrency thus far. The era of Cryptocurrency emerged when Bitcoin was born. With Bitcoin, the concept of the ‘global single bank’ arose. Not long thereafter, the second generation of cryptocurrency, Ethereum, was known as the ‘global single computer’, turning the concept of smart contracts into a reality. Later, the 3rd Generation of Cryptocurrency such as EOS, aiming to be the Ethereum Killer, as well as Cardano and Tezos have been introduced to overcome limitations of the previous generations of Cryptocurrency. Transaction time and speed are a problem in Bitcoin, as well as that of smart contract in Ethereum. Even the highest used dApps on Ethereum and EOS have less than 500 daily active users. Bitcoin Cash clearly revealed the limitations of PoW structure due to the recent hard fork dispute and proved to fail on decentralization as well as wasting energy. From an evolutionary economics perspective, existing Cryptocurrency was not chosen by users. During the 19th century, steam locomotives emerged and soon led the industrial revolution, moving large quantities of cargo by train, not by ship. However, the steam engine disappeared into history with the advent of diesel engines with faster speed and cheaper cost. This is a natural order from an evolutionary point of view. The same is true of Bitcoin. The reason why Bitcoin is not collapsing yet is because it is the ‘first’ Cryptocurrency,’ has brand value, and there’s no strong competitor that has emerged yet. Bitcoin and Ethereum waste huge amounts of energy and do nothing to address the gap between the rich and the poor. As soon as a cryptocurrency solves this problem, the aforementioned frontrunners will follow the course of extinction sooner or later. In January 2009, Bitcoin’s 10-year-old history was born with the coevolution of telecommunications, cryptography, and computer advancements, just as a new species of dinosaurs were born and changed the world based on the heritage of amphibians and reptiles. Bitcoin is the world’s first private-sector international currency and also a cross-border international remittance system, creating a new order that is different from the existing financial system. Smart Contracts are neither smart nor smart nor legally binding. Although the name is misguided, anyone in the world can utilize this single computer system to make a semi-automated transaction based on certain conditions. Thousands of dApps have been developed on this platform, but nothing has been widely adopted or commercialized yet. This is like a new species being born that hasn’t fully adapted to the environment. Ethereum offered breakthroughs, however, the energy waste is simply too high from an economic evolutionary standpoint, making it slow and expensive. Although the Decentralization Dogma is rampant, it tends to be more centralized than people realize. The Trilemma problem essentially says that in the current understanding of cryptocurrency, you must sacrifice either security, scalability, or decentralization in order to advance the other two areas. As it stands, Ethereum is unable to solve the cryptocurrency trilemma. Bitcoin and Ethereum use the proof of work (POC) Proof of work method to propagate their ledger and are thought to solve decentralization, but it is not practical because it is slow and costly. Moreover, recent battle between BCHABC vs BCHSV during Bitcoin Cash Hard Fork revealed that decentralization is an illusion. The sad reality in the current system about being your own bank is that it is very susceptible to loss and theft. As the issue arose, the price of cryptocurrency plunged again in November 2018. The biggest reason why existing cryptocurrencies are not commercialized is that it takes too long to conduct transactions. In Ripple, due to its faster transaction speed and usefulness in international remittances, it became top 2nd cryptocurrency based on market capitalization. However, Ripple cannot argue that they are decentralized since the developers dominate token supply and decision-making process. Many platforms such as EOS, Cardano, and Tezos have challenged to solve the issue. EOS argues that they have reduced the number of block producers to 21 so their TPS is 2000 with the block confirmation time down to 1.5 seconds. Cardano only has 7 full nodes but their block confirmation time is 240 seconds. It takes 30 seconds to confirm block with Tezos which has 230 full nodes. With this rate of speed, it’s not possible to compete with commercial payment systems such as credit card and Alipay where transaction is confirmed within a second.